Winter season is soon to arrive. Even before the winds turn really chilly and all your quilts, blankets, woolens are out of the wardrobe, you must have started planning for a winter holiday trip. Thus winter is not just about sipping from a cup of hot fuming coffee and peeping out from your blanket. Nature gets dressed differently during winter and thus you have lots to explore when you are on a winter holiday trip. So just check out the top 10 winter destinations in India below. Winters are a time when the holiday spirit rises up in the best of us. The Celsius drops, there is a nip in the air, the heart yearns for romance and the eye seeks greener pastures; this is a perfect time to get your back pack ready. India being a beautiful country has a lot to offer to the discerning tourist in terms of winter travel. Here is a list of places both famous and unusual where you can head off to this winter. 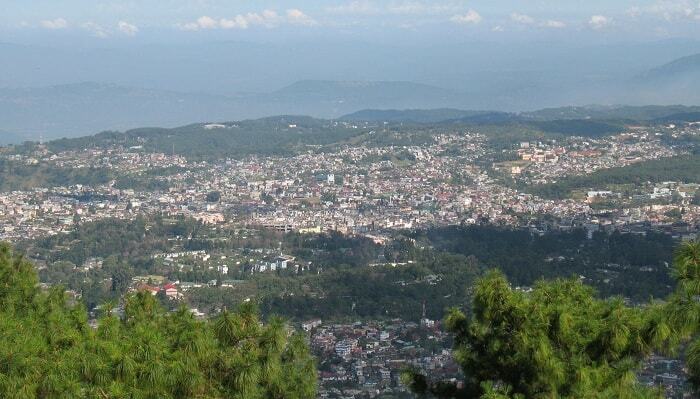 Shillong bears a very strong resemblance to Scotland because of its pristine beauty and beautifully colored highlands. The name is derived from Lei Shyllong or the supreme divine power which emanates from the peaks of Shillong. There are several sets of waterfalls in Shimla; all of them astoundingly beautiful. There is the Crinoline Falls, Elephant Falls, Beadon Falls, Elephant Gaits and the 2 Gunners Falls. Each of these Falls have curious stories attached to them like it is locally known that the Elephant Falls was the favorite bathing place of Elephants. Shillong has a very exciting night life and has lots of pubs, bistros and bars lining its tiny pebbled streets. This is a perfect romantic place to come with your better half. Tall Pine forests and fields of edelweiss makes Shillong a photographers delight. For the best effect, stay in a wooden cottage which has the capacity for hosting for a log fire. Shillings beauty is best savored in chilly winter mornings amidst its abundant natural beauty. In winters you will feel that you have stepped into an international festival circuit once you step into Goa. Caucasians, Negros, Latin Americans and South Asians flock the beaches in Goa as it is well known winter holiday destination abroad. 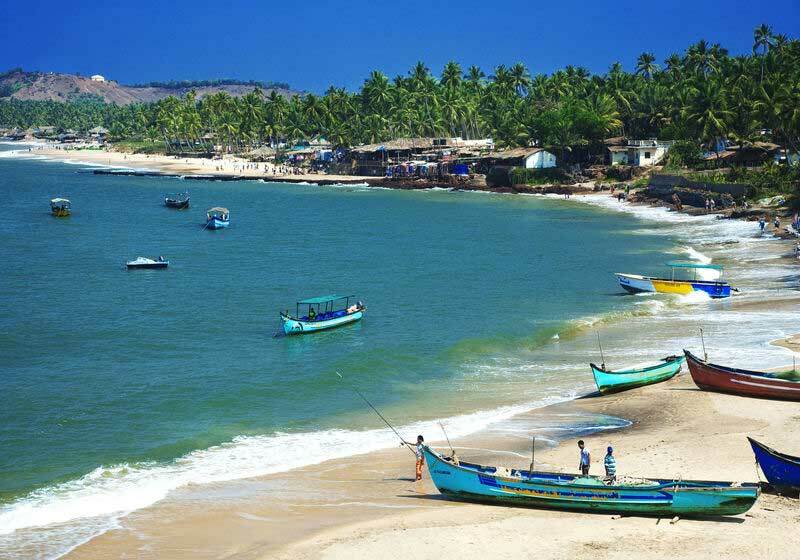 Goa was a Portuguese colony in the past and has been under the influence of rich Latin and Portuguese cultures. There are several beautiful churches in Goa that have been marked out as world heritage sites by UNESCO. Fort Aguada, Fort Tiracol and Basilica are the places to visit if you are interested in history. The Goa Science Center, Museum of Archeology and the Gallery of Portraits are some must see places in Goa. For nature lovers there is Bondla Wildlife Sanctuary, Netravali Sanctuary and Cotigao Sanctuary. Salim Ali Bird Park has brightly colored parrots, kingfishers and mynas and is an ornithologist’s delight. Rajasthan is the name that most travelers would come up with when asked to name one of the best tourist destinations in WINTERS IN India. This is a land where everything is larger than life starting from the exotic palaces to the camels the heavily decked up local people wearing colorful attire and chunky jewelry. This is also the state where most celebrities (both national and international) head off to for holding destination weddings in the exotic villas in Udaipur and Jaisalmer. 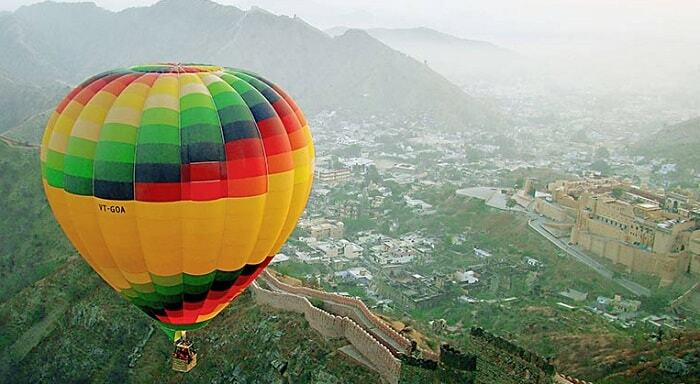 Jaipur should be your first choice in Rajasthan and the city will overwhelm you with its abundance of pink in everything. The man made landscape is so colorful that you will never feel like putting the camera away. There are 7 major palaces and 4 different forts in Jaipur that you can explore with most of them offering amazing sites where you can sit and watch the sun go down. After you have finished with Jaipur…head off to Udaipur which is the city of palaces. Udaipur holds camel races every winter which is a major tourist draw. Jaisalmer, Bikaner, Jodhpur and Ranthambore are some major places of tourist interest in Rajasthan too. Gulmarg has recently been voted by India Times as one of the most coveted winter destinations of India. The snow clad hills of Gulmarg are best experienced in winters when tourists flock here for seeing the world’s biggest Gondola ski lift. The acres long Golf course is also a major tourist draw here as there is the system of providing short term memberships. Horse riding and trekking are other winder sports activities in Gulmarg. 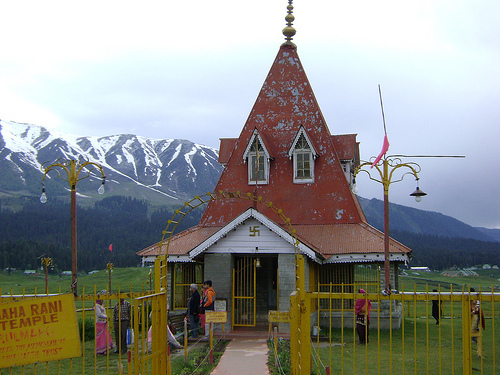 Gulmarg has umpteen flower valleys filled with Rhododendrons, carnations, daisies and wild roses. In winter there are flower shows organized every week which will enchant you with their beauty. Make sure you take your camera along. Nainital is one of the most famous hill stations in Uttarakhand which offers a lot to the crowd avoiding nature loving tourist. Nainital has a lot of apricot and almond farms from where the produce is supplied to several other places in India. 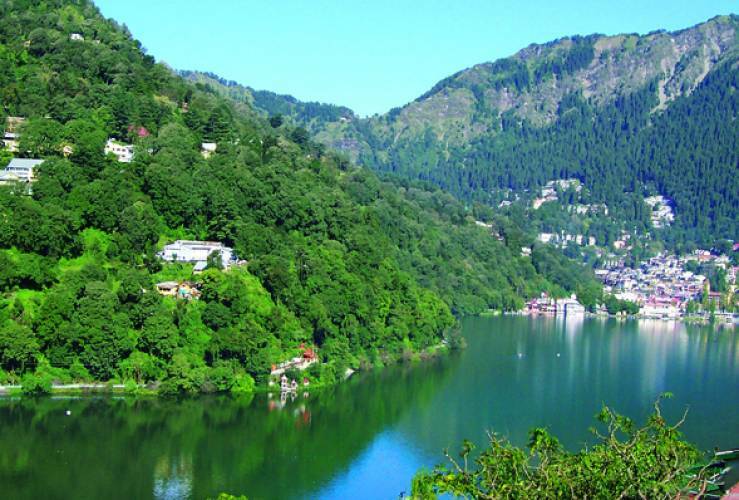 There are 7 different hikes in Nainital which can be availed by tourists who can go on long and exhilarating walks. Nainital is also a food lover’s Paradise as it hosts a lot of restaurants and cafes that serve delectable Uttaranchal cuisine. If you drive 15 km away from Nainital you will reach Pangot that is a bird watcher’s paradise. 2000 separate birds’ species have been located and named in Pangot and the nearby areas. There are the luxuriant Cheena Peak forests that dot Pangot and beautiful tourist points like Kilbury and Snow View Point. If you want to go for picnics in winter then the lovely lake trio of Naini Tal, Naukuchiatal and Saat Tal are the best places. Kerala’s Kovalam beach has fine whitish sand unlike the yellowish coarse sand that is present in other Indian Beaches. 3 separate beaches are present in Kovalam which are arranged together in a crescent shaped structure. All the 3 beaches have facilities for Para gliding, sun bathing, hot oil massage and other beach activities. Kovalam is a Panchkarma (ancient ayurvedic therapy) hub and it has many massage therapy centers. Treatments and beautification therapies are provided here using the 7 oils Ayurvedic process. Many foreigners also visit Kovalam in the winters for enjoying its oil massage treatments. 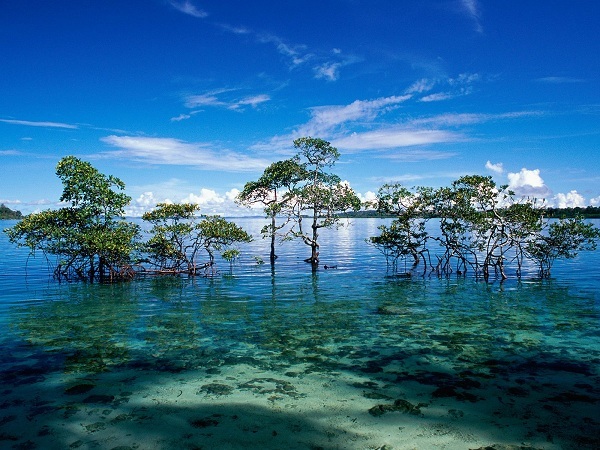 Some die hard Andaman fans claim that the Radhanagar beach in Havelock Island was one of the best beaches in the world. The distinctive pattern of the coastline in Radhanagar beach ensures that there is perfect stillness between the two subsequent wave crashes of the sea here. Many famous poets of India including the award-winning author Amitava Ghosh had chosen Radhanagar Beach as the perfect place for going on a book writing holiday. This beach is surrounded from all sides by Mangroves which are populated by elephants. In fact elephants are found on hire here for the amusement of tourists. Don’t miss out on the lovely coral souvenirs which are sold on the Radhanagar beach. If you are brave hearted and can bear the chill then do visit Ladakh’s capital town Leh in winters. This town is full of gaiety and fun all against a pure white backdrop. 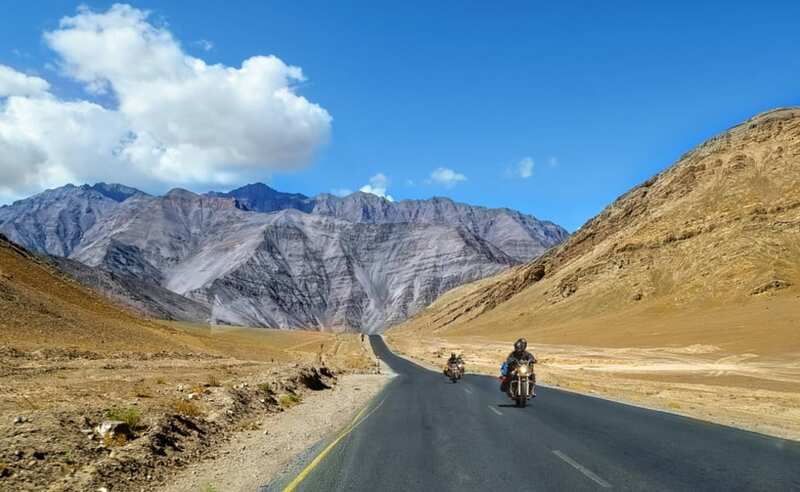 Leh is best experienced in the winters unlike the rest of Ladakh as it is fully equipped to provide tourists with the ultimate holiday experience. The Namgyal Monarchs have ruled Leh for ages till they were uprooted by democracy. The Stok Palace, Leh Palace, Tsemo Gompa and the umpteen monasteries make Leh an architect’s paradise. If you love shopping especially exotic shopping then head off to Leh Bazaar where you can find chunky Tibetan Jewelry, Thangkas, fine shawls, lovely artifacts and handicrafts which are very different from the usual products found in India. If you want to look at the stunning tiger in the eye in its own majestic setting then the Corbett National Park is your best bet. Winters see the maximum tourist traffic here as there are a lot of tiger and rare bird sightings in Corbett. Unlike other national parks in India, this one is highly organized and caters to tourists of all preferences and budgets. 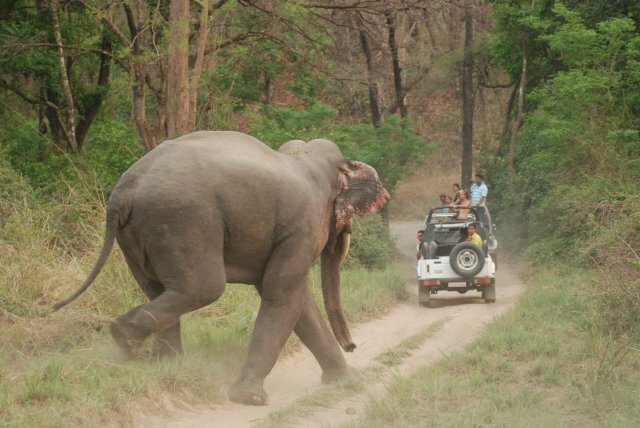 This is why you will get elephant ride tours, bird watching tours, jungle camp arrangements, watch tour night stays and much more here. 150 different varieties of exotic animals and 200 species of birds exist today in Corbett National Park making it a nature lover’s delight. Amritsar is arguably India’s food paradise. If you are a foodie then Amritsar is heaven for you. The best Paranthas and the sweetest jalebis in India are found in the tiny Galis of Amritsar. Butter Chicken, Missi Roti, Palak Paneer and all other Punjabi delicacies are best sampled in Amritsar which holds food fests almost every week in winter. Amritsari Macchi is a dish which has now gained entry into the best Indian cookbooks published in India. Don’t forget to sample Chole Bhature and the Butter Kulcha when you are here. If you are interested in Indian History then Jallianwala Bagh and Wagah Border will interest you. 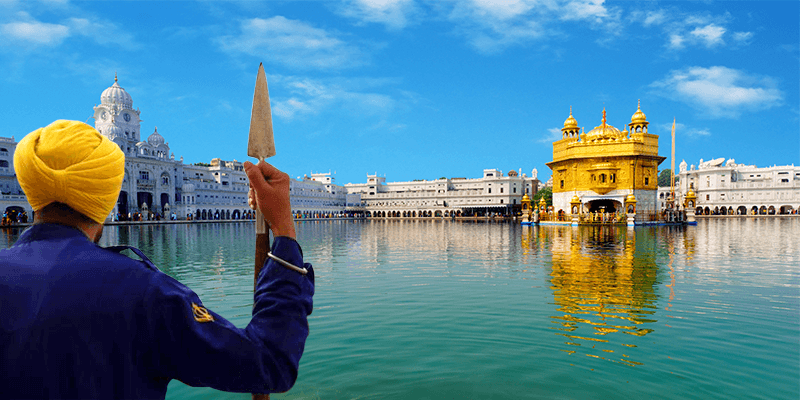 The Golden Temple is a must see as its one of the best and the most beautiful religious monuments in India. If you are interested in shopping then stock up on the beautiful yet super affordable textile found in Amritsar. Phulkari Dupattas are eternally in fashion and make great gift items too. Buy a few brightly colored ones from Amritsar to carry back home.